Students for Life reports that due to the proposal of a school-based health center, public high school and middle school students at Sedro-Woolley High School and nearby middle school in Washington state may have IUDs inserted without their parent’s knowledge. Initially, the proposal included referring students to Planned Parenthood for abortions. After strong objections from the community, PeaceHealth, a Catholic hospital that would conduct the proposed health center, decided not to refer minors to Planned Parenthood for abortion. IUDs can have severe, sometimes life-threatening, complications if they migrate. Women are sharing their stories of complications they experienced with IUDs that are not often discussed. Many women who experienced complications said they were not informed about the severity of the potential issues. Minors receiving an IUD without their parent’s knowledge are taking on risks without guidance from an adult, and if complications do occur, those minors and their parents could face significant costs. According to local news, Christina Jepperson, Sedro-Wooley High School Board President, insisted, “This isn’t going to be a condom clinic.” Trying to assuage parent’s fears, she said, “This really is primary care services. This isn’t any different than if you would go see your primary care or family doctor for.” However, Washington state law allows minor over the age of 13 to request confidential medical services, including getting IUDs and undergoing abortions. 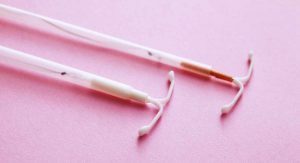 By placing a health center in the school that can give minors access to dangerous and abortifacient contraceptive devices, many parents still have valid concerns about the proposal. This entry was posted on Wednesday, April 10th, 2019 at 4:04 pm	and is filed under News & Commentary. You can follow any responses to this entry through the RSS 2.0 feed. You can skip to the end and leave a response. Pinging is currently not allowed.